It seems like there’s a new restaurant popping up in Manchester every week at the moment, which in my eyes can only be a good thing. Manchester is really coming into its own lately and rather than restaurants coming up here from London, we’re starting to see restaurants that choose to start up in Manchester. One of those new openings that I was BEYOND excited about, was Yard & Coop in the Northern Quarter, which is a casual fried chicken joint. 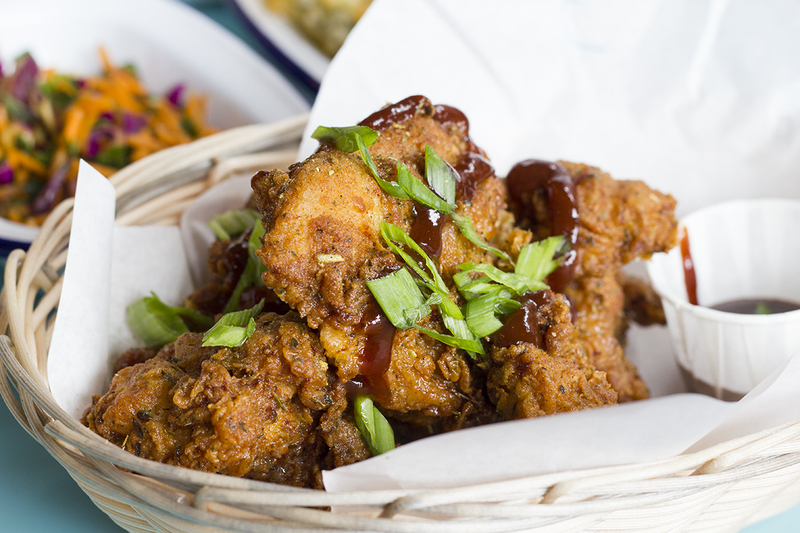 Unlike burgers and pizza, there’s not many places in Manchester that specialise in proper buttermilk fried chicken, so it was a concept I was more than happy to get behind. 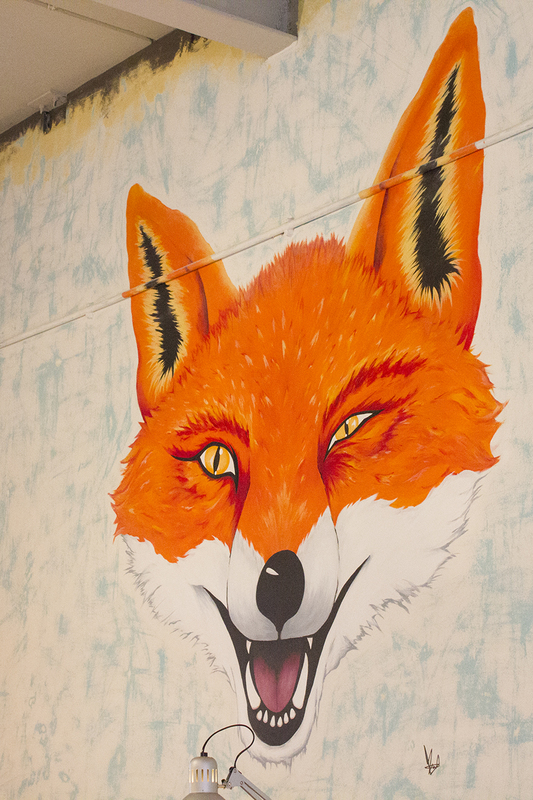 Well it wouldn’t be a Northern Quarter restaurant without a quirky interior, would it? Even though Yard & Coop has concrete flooring and exposed metalwork, there’s no soulless warehouse vibes here. 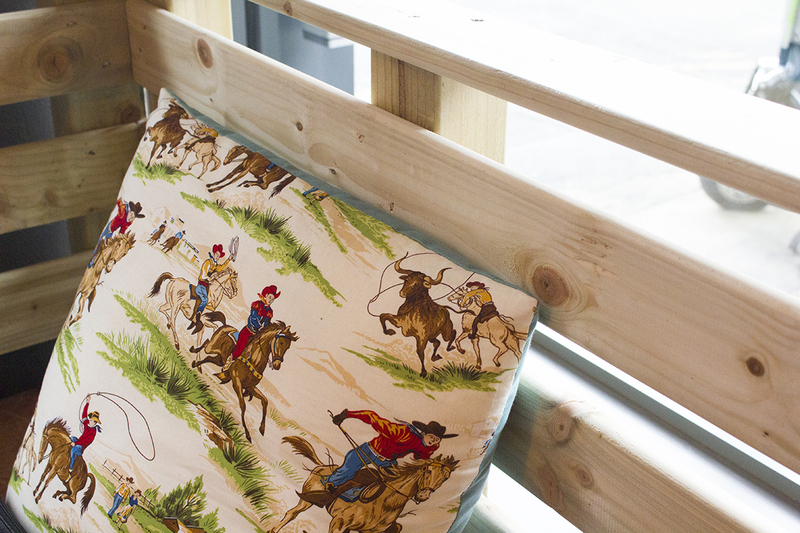 Pops of colour, twinkly lights and cowboy print cushions means there’s a really friendly atmosphere where you’ll instantly feel at home. 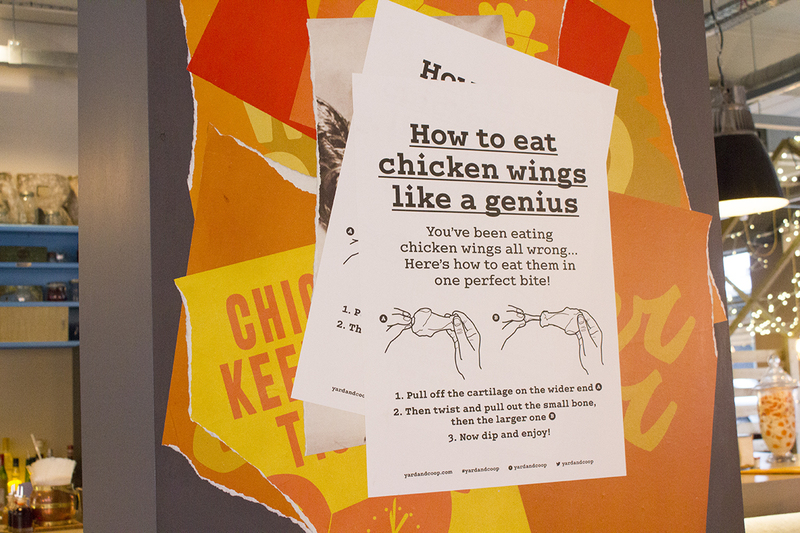 My favourite bits were the chicken coop booths, the huge sink by the bar to wash your greasy chicken fingers in and the ‘How to eat chicken wings like a genius‘ print. Once we were seated (by the window aka blogger heaven), I kicked things off with their ‘Rule The Roost’ cocktail (£7.00), which is a Lychee and Rose Prosecco-based cocktail. It was light, sweet and refreshing, although probably quite a contrast to my messy fried chicken meal. 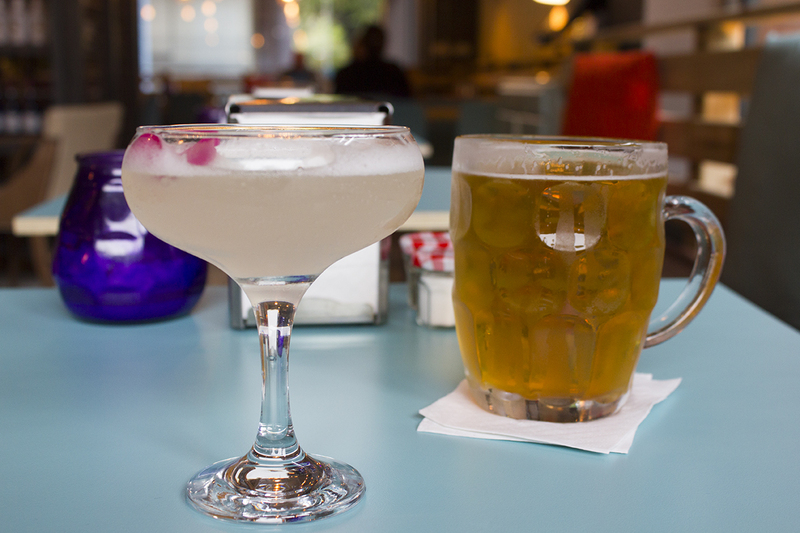 Prosecco cocktails and fried chicken are actually a pretty great combo though FYI. Mat had a tankard of Kona Big Wave (£5.50), which is a beer apparently. I’m not well-versed in these things but he loves the stuff and there were plenty of other craft beers on the menu for anyone who likes their beer. Huge apologies for the long build up to the main event: the fried chicken! This is where you can be a bit experimental and really make it your own. 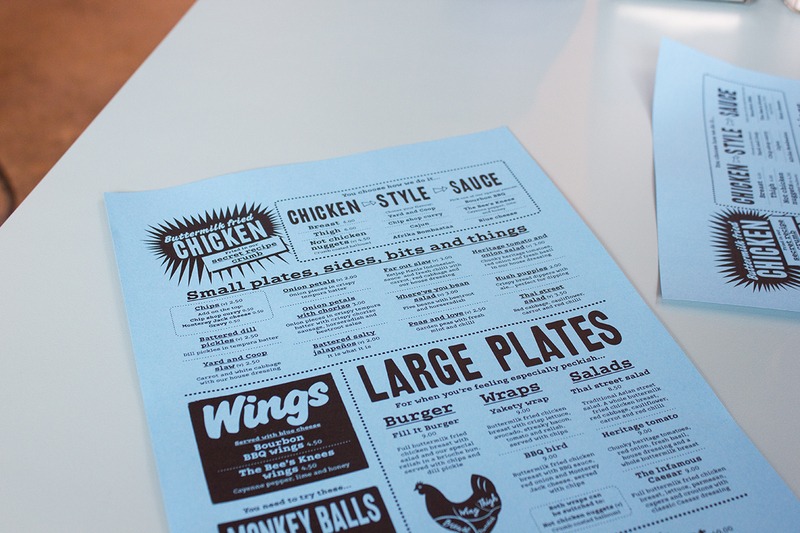 First you choose your chicken (breast, thigh or ‘not chicken nuggets’ halloumi), then your style (Yard & Coop, Chip Shop Curry, Cajun or Afrika Bombaataa) and then finally your sauce (Bourbon BBQ, The Bee’s Knees or Blue Cheese). I opted for the thigh (£6.00), which is honestly SO much better than breast, cajun style with Bourbon BBQ sauce. I really wanted The Bee’s Knees sauce until our waitress informed us of its spice level. We did get a little pot to try and I can confirm it’s spicy but very very tasty and full of flavour. The thighs came boneless with the crispiest and tastiest coating I’ve ever eaten. Apparently it’s their secret ingredient crumb recipe, so I couldn’t tell you exactly how they made it so tasty, but trust me on this one… you need to try it! 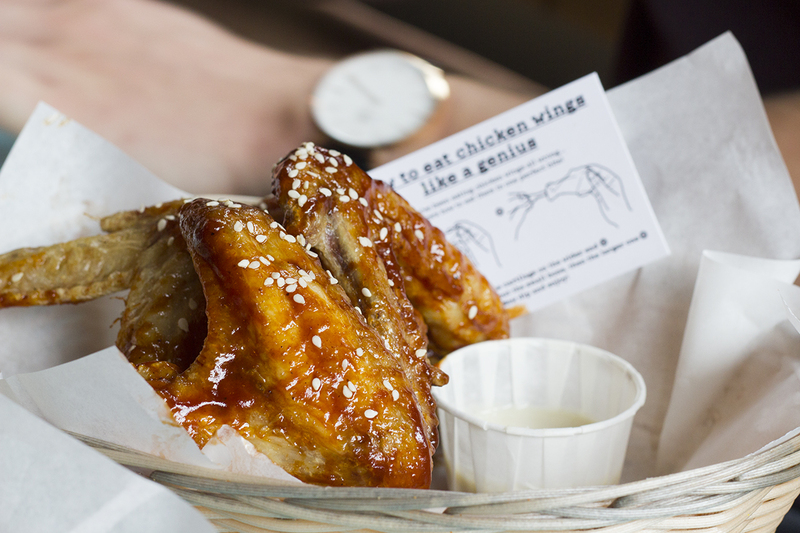 Mat, being a massive chicken wing fan, went for the Bourbon BBQ Wings (£4.50) that he told me were “probably the best wings I’ve ever had”. Really high praise from him! He doesn’t like to get hyped about something unless it’s 100% deserving. The wings came with a Blue Cheese dip that I mistook for mayo and dipped my chips in, resulting in a very confusing experience for me. 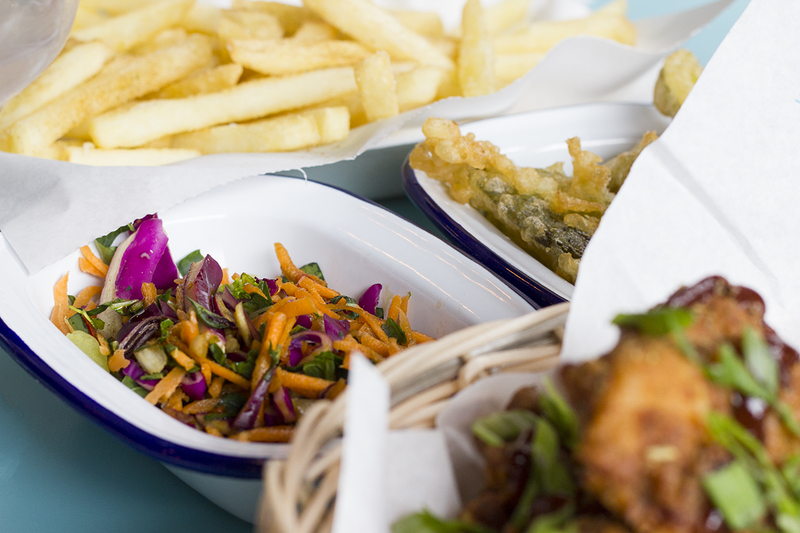 The waitress recommended around 3 or 4 sides to share between two people, so we went for it with battered dill pickles, chips with cajun spice, Yard & Coop slaw (all £2.50 each) and chips & cheese (£3.00). 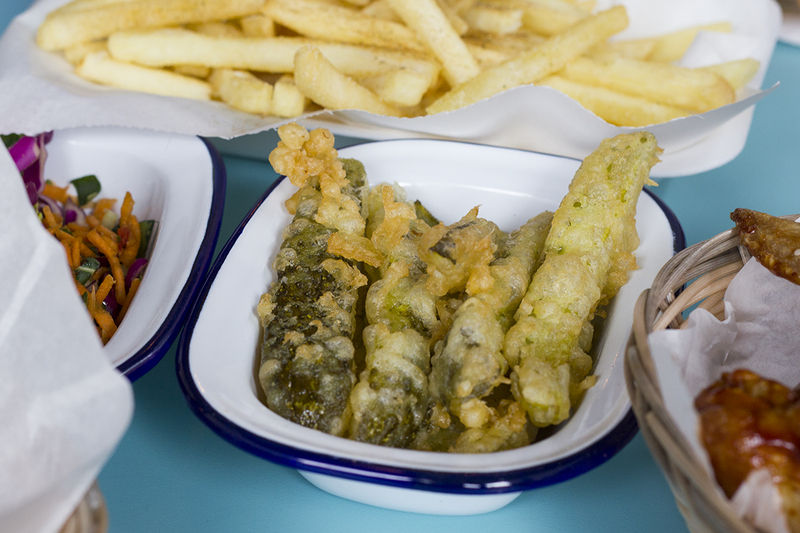 The battered pickles were a highlight, fried in a light tempura batter and managed not to scald my mouth when I bit into them (regular occurrence). I found the slaw a bit dry for my liking, but Mat seemed impressed with it. The chips were pretty standard, with the cajun dusting adding a little extra spice to them. Overall, not amazing but to be honest, the chicken is definitely the main event here. At just under £35 for our whole meal, plus a drink each, it’s pretty well priced for such good quality food. 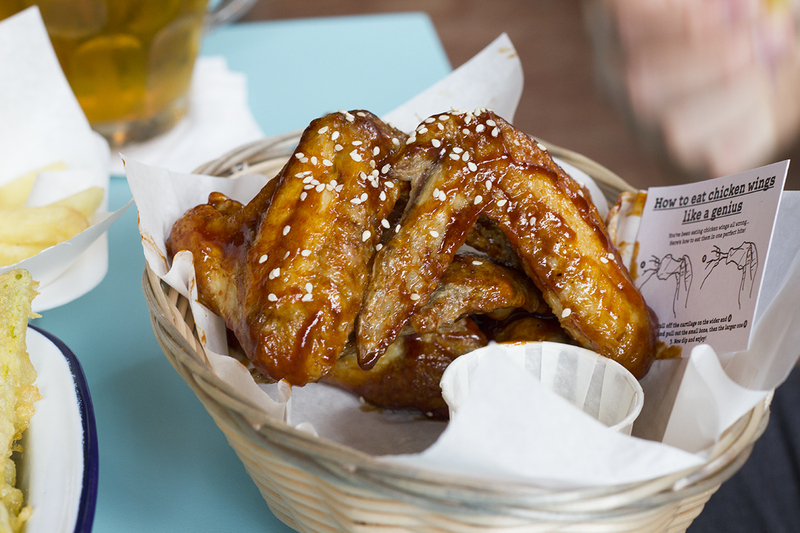 We’d probably pay more for a trip to Nandos and it’s nowhere near as tasty as Yard & Coop. It 100% lived up to my expectations and we’ll definitely be back again for a quick but tasty lunch another weekend. 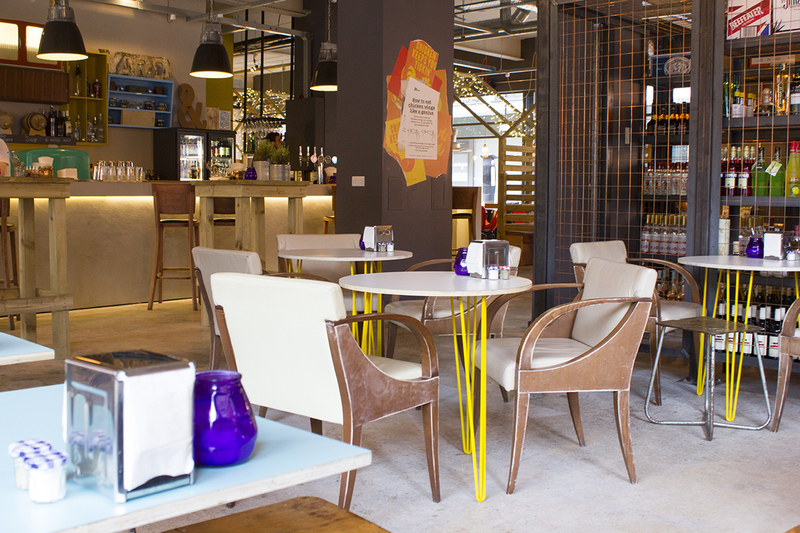 If you want cool, casual & affordable, this is the place to bring all of your mates for a good catch-up with good food. Our meal was complimentary of Yard & Coop, but as always, all fried chicken fantasies, thoughts & opinions are my very own. 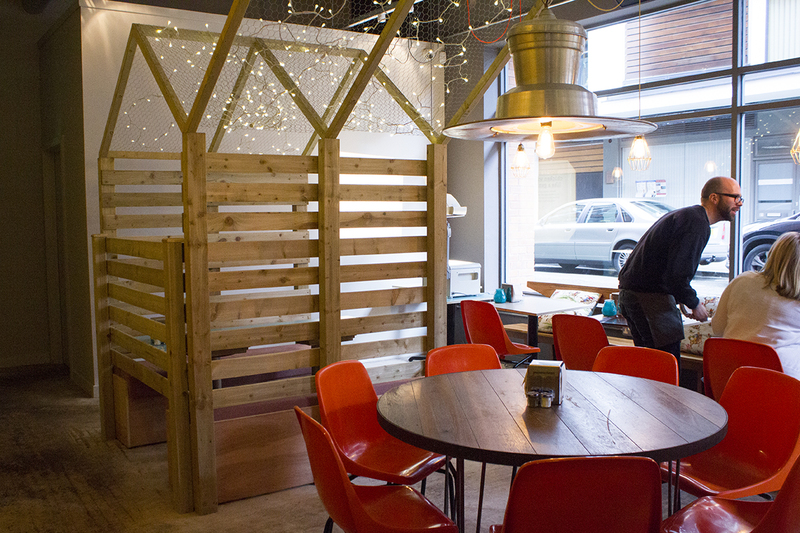 Have you visited Yard & Coop yet?